Uncle Richard’s Meatballs and Sauce! Uncle Richard and his son, Rich, in their fully equipped basement kitchen – because what’s an Italian home without two kitchens? Today is my Uncle Richard’s 89th Birthday. To honor him, I’m posting my most prized possession, my video of him showing me how to make meatballs and sauce. (It’s at the end of this post.) It was the highlight of my year! It’s Black Friday at GettaSommaDis! 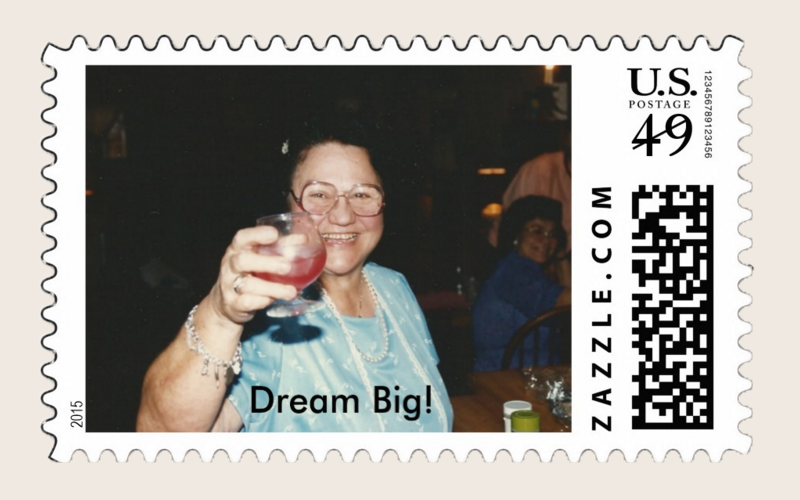 It’s Black Friday at GettaSommaDis, my online store with tons of witty, clever, irreverent items you WILL NEVER find in any self-respecting retailer. Don’t follow the crowds, shop in your pajamas! But do it today because Black Friday comes but once a year. Mr. Whiskey modeling My Sauce is Better Than Yours. Mr.Whiskey was adamant that I take his photo wearing his new apron. It’s a little big for him, but he likes the comfort. 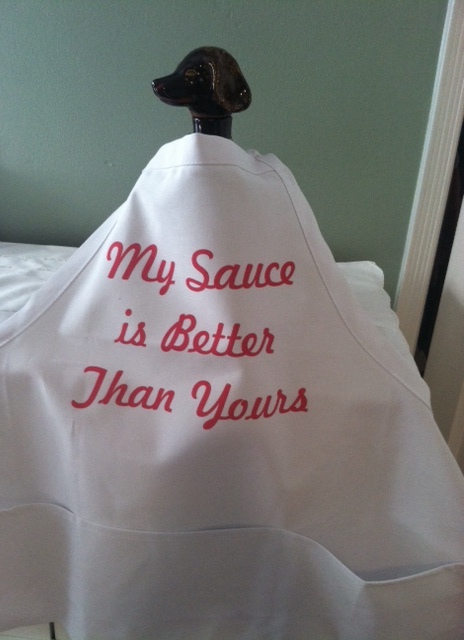 My Sauce is Better Than Yours, and Home is Where the Pasta Is Aprons, Italian Curse Word Wine Charms, Hunter Gatherer Sweatshirts, Festive Red Ribbon that says, “Eat a lilla sommating,” Never Underestimate the Power of Pizza cosmetic bags and Tees and much more! Give your family a laugh this holiday season, shop at GettaSommaDis! Hope your Thanksgiving was wonderful. Next up…the winner of the Cutthroat Annual Tunno Pie Competition. There’s a new contender in the family!